Big ideas brewed in small batches. Hand crafted with the finest ingredients we can get our hands on, our beers are unique, well-balanced, and dangerously delicious. You can expect both tradition and nuance; both boldness and subtlety. Take it as a testament to our home in beautiful BC, bringing the untamed Wild West into the pristine Warm Land of the Cowichan Valley. NOTE: Quality craft beer deserves quality company, so these brews are best enjoyed with friends, family, and in the presence of the great outdoors. Paying tribute in name and in label to our friends from Arrow Custom Cycles (the previous owners of our stunning brick building), we’ve brewed a pleasantly light and traditional ale that is sure to please all palates. 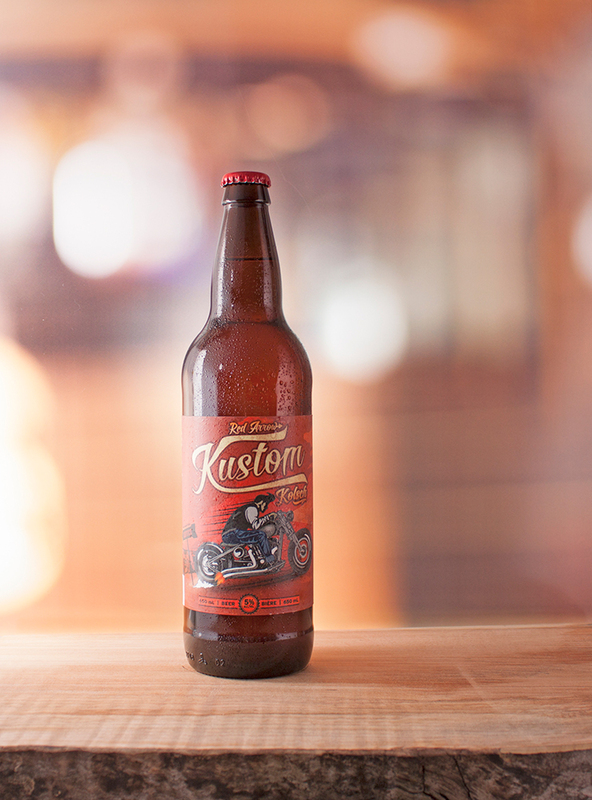 Just like the bikes built in our walls before us, our Kustom Kolsch is finely tuned and ready to ride. This German style golden ale pours clean and bright with a slightly herbal, bread-spice aroma reminiscent of sourdough bread. The taste is crisp, light, and refreshing with just the right amount of linger... Perfect for any occasion. Time. Honour. Tradition. Patience. Brewed with the finest ingredients we can get our hands on, this Lager is aged for an extended time in horizontal tanks to ensure the smoothest taste and utmost clarity. We aim to highlight the subtle nuances of a quality craft lager, using many old-world recipe traits, reflecting our west coast take on a true classic. With a rich, barley malt body and a rounded, clean finish, all signs point towards a delicious taste experience. Here on Vancouver Island, in the always beautiful British Columbia, we are so fortunate to be surrounded by endless amounts of dynamic growth and natural plant life. 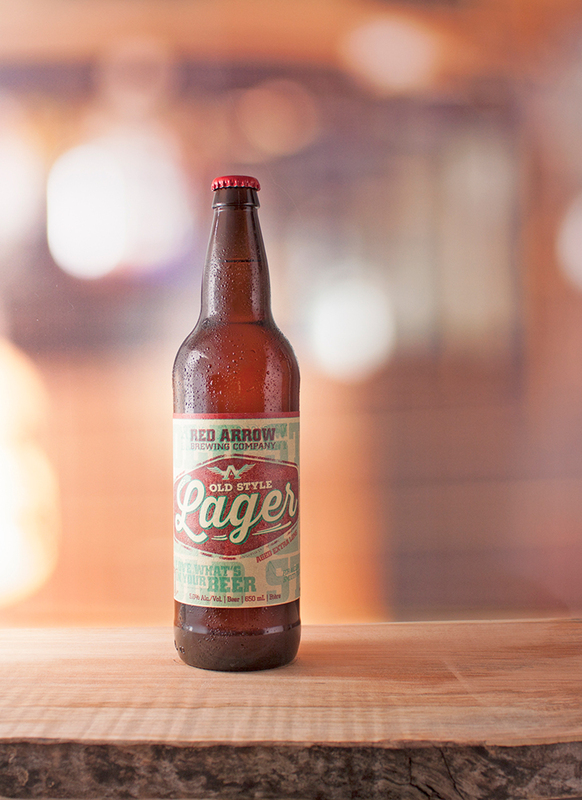 Explore our lush, coastal flora with the Sweet Leaf IPA. Pungent and fruity, Sweet Leaf is the essence of the Island. This beer pours a beautiful bright amber with a robustly fruity and floral bouquet. Its sharp hop kick, featuring notes of tropical and citrus fruits, is balanced by a smooth, medium malt profile and lingers just enough to leave you wanting more. In our community, rugby is not just a sport—it’s a way of life. When opposing teams come to town to take on the Piggies, they know it’s going to be a hard game. They also know that every drop of blood and sweat left on the field will be replenished back in the clubhouse with the tip of a pint of some fine ale. We took our love of the game (and of our local team, the Cowichan Piggies) and pitched it into this highly session-able, tavern-style Pale Ale. Pouring a light golden-orange, this little Piggy has a medium hop body, balanced malt and just enough gumption to bring home the game. Best enjoyed with friends and teammates! Every brewery needs a guardian. Meet ours, Christopher, the all-seeing gargoyle. He’s been watching over our building for years. As the bell tolls on the darkest hour, he is there—a few chips and bumps, but sturdy as always. This richly malty, but easy-drinking beer is dedicated to him and his watchful legacy in which we can all find a little comfort. A refreshing take on a darker style of beer, the Midnite Umber Ale pours a beautiful ruby/reddish brown (also known to artists as umber) and has notes of candied apricot and demerara. 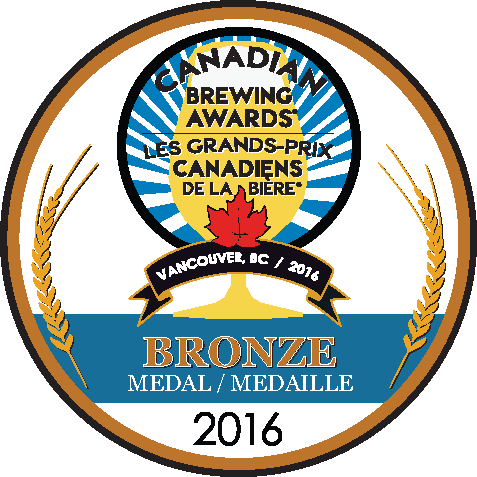 While this brew is full of rich, decadent flavours, its body is surprisingly light. Balanced nicely by a solid hand of southern hemisphere hops, and with a smooth malt finish, the Midnite Umber Ale is the best of tease and temptation. Find our product near you! Looking for our beer, but can’t visit the brewery? Use this map to find the nearest Red Arrow distributor. Yellow pins are draught, while red pins are bottles/cans. Still no luck? Get in touch and we will do our best to help you out on your quest!